Adult breeding bucks, 3-1/2 years of age and older — especially trophy-class bucks — rarely travel on the trails made by does and their young. To a doe with young, a home range is much more than an area that provides food, water, cover from weather, hiding places for young fawns and a means of avoiding, escaping or maintaining safe distances from potentially dangerous predators and humans. It’s also a network of protective trails. A protective trail is one that courses through deer-tall screening cover and is worn enough to enable the doe and its young to move along the trail without making sounds easily identified by potentially dangerous predators and humans. Actually, a doe’s trail is more than a worn path on the ground. It’s actually a tunnel through cover created and maintained by repeated passages of deer. Adult does are typically trailed by fawns and yearlings. 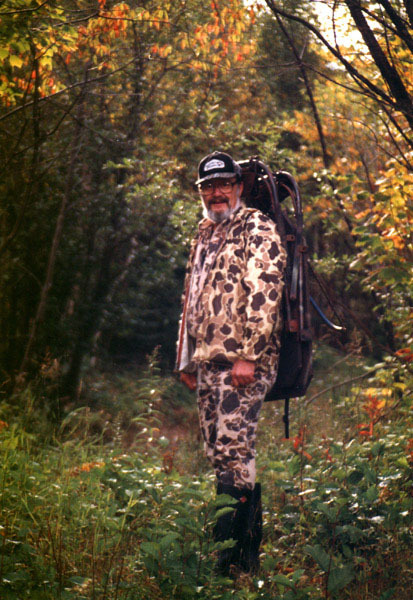 These family groups, or small herds, cause considerable wear during their repeated passages, not only creating the kind of deer trails that excite human hunters, but trails used by human hunters while hunting whitetails. Adult bucks (two-plus years of age), on the other hand, are loners most of their lives (except while engaged in breeding-related activities in fall). As loners, whatever trails they may use, they cannot cause considerable wear. Add to the situation a 3-1/2-plus year-old buck’s need (or drive) to establish a home range that encircles home ranges of four to five does, an area up to a square-mile in size. 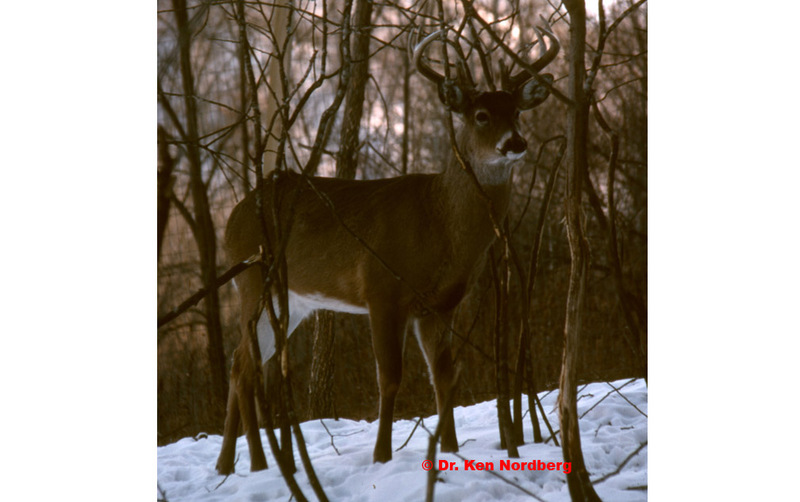 Where adult buck densities are low, some dominant bucks establish home ranges as large as two square miles in size. In the forest regions, doe home ranges average only about 125 acres in size, making it relatively easy for doe families to keep their networks of trails well-worn and silent. Lone adult bucks cannot possibly create and maintain silent trails in any part of the sizes of home range they establish. Yet, they too are anxious to use trails that are protective, trails that are silent and course through deer-tall screening cover. The trouble is, the only trails that fit this description are doe family trails. Adult bucks are much bigger animals than does. Most weigh 75 to 150 pounds more than adult does and yearlings. Some weigh 200 pounds more. To make matters worse, most adult bucks 3-1/2 years of age or older have antlers that are wider than their bodies. Tunnels through cover made by does and their young are only about 18 inches wide and 36–38 inches tall, much too narrow and much too low to allow most bucks 3-1/2 years of age or older to use them without making considerable noise, noise certain to attract the attention of nearby predators and humans. Moreover, as experience has taught all bucks that have survived three or more hunting seasons, human hunters key on well-worn trails made by does and their young. While humans are afoot, such trails are dangerous to use. So what’s a buck to do while humans are afoot, a time coinciding with activities related to breeding (the rut), the very period during which antlered bucks must fulfill their principle purpose in life. Actually, they do quite a few things. As experienced as they are, it’s easy for older bucks to realize when they are being hunted, or soon will be. 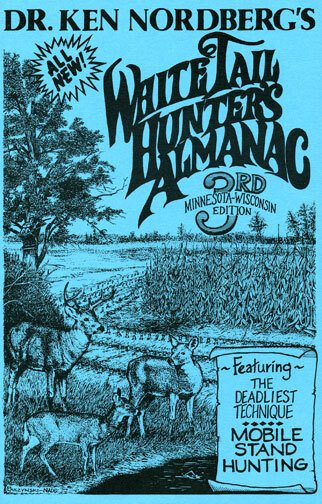 For those that fail to recognize humans in unusual numbers are invading their haunts, driving easily-heard motor vehicles, slamming car doors, talking out loud, sawing, chopping and pounding, making pungent smoke and walking in the woods, the first gunshots of opening morning will quickly make them aware this dangerous annual event has begun. From the moment they realize whitetails are being hunted by humans, whether on the move or bedded, older bucks begin utilizing denser screening cover than usual. Sure, whenever convenient, they cautiously use sections of doe trails (tunnels) that are wide and tall enough to accommodate their greater sizes (when not accompanying does in estrus), but they will rarely use the same trail twice the same day or two days in a row. More than 50% of the time they travel off-trail, heading cross-country, using more direct routes through dense cover to reach distant parts of their vast home ranges. Not only do they thus avoid human ambushes, but more direct routes conserve time and energy. Conserving time and energy is important to dominant breeding bucks because the size of their home or breeding range and the number of does living within it, is determined by the buck’s ability to keep competing bucks out, particularly while breeding is in progress. To do this, beginning about two weeks before breeding begins a dominant buck must visit every portion of its range at least once every 24 to 48 hours. Any portion not visited for 48 or more hours is likely to be taken over by one or more other antlered bucks (including yearlings), in which case the dominant buck will probably have to fight other bucks to regain possession. Fighting at this time can be extremely exhausting, further reducing a dominant buck’s ability to maintain exclusive breeding rights within its claimed range, thus allowing less-fit bucks to pass on their genes (not nature’s plan). The vastness of their home or breeding range has much to do with making adult bucks seem rare. Finding does and their young or predicting where they will be at any one time within a home range 125 acres in size (not uncommonly as small as 80 acres) is not all that difficult. Finding a lone buck, or predicting where it will be at any one time within a home range as large as 640 acres or more is very difficult. By age 3-1/2, experience has also taught lone adult bucks that when frozen (motionless) in cover, large predators (located crosswind or upwind) and humans are extremely unlikely to discover them — a quick and easy way to avoid serious threat. 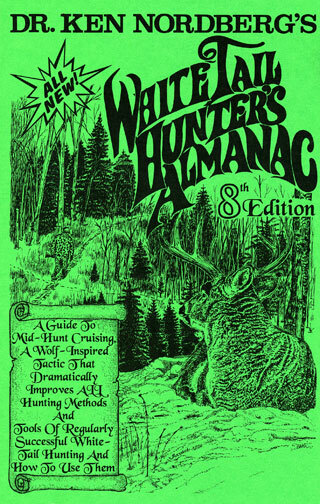 In time, most experienced whitetail hunters unexpectedly jump a particularly large buck at short range that was attempting to avoid discovery via this very ruse. In most cases, the hunter was walking steadily along a fairly straight path when it happened, making no effort to avoid being seen or heard. Obviously, then, the buck knew the hunter was approaching. 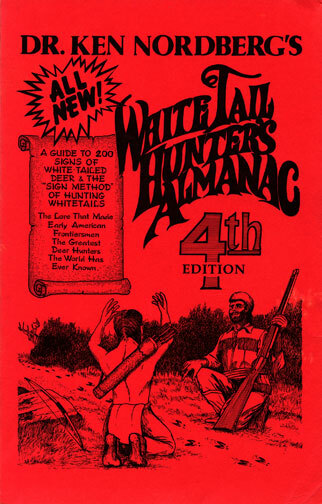 Until the final second, the buck was of the opinion the hunter would continue along its current path without stopping, soon passing without discovery. Thus it remained frozen where it was, a perfectly safe thing to do. All went as the buck expected until the hunter suddenly halted or turned toward the buck a short distance away. Quickly concluding it had been discovered, or soon would be, the buck had no choice but to turn and flee. Such an encounter is by no means rare. 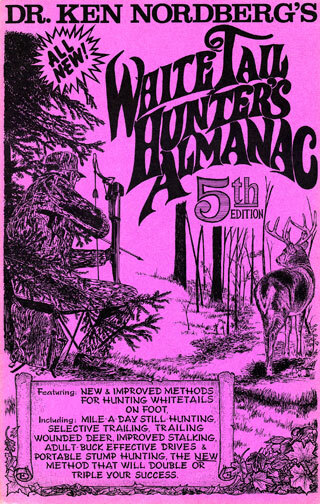 On any one day of a hunting season the average hunter afoot passes unwittingly within 100 yards of eight or more whitetails frozen in cover. The percentage of adult bucks forced to flee under such circumstances is very very small. On a great number of occasions I have watched hunters (12 in one bunch) pass within 10 yards of older bucks frozen in adjacent cover. Many younger deer, namely fawns and yearlings, lack the boldness necessary to avoid discovery under such circumstances, and are tagged as a result. Experienced adult bucks, however, are masters at. Another trait common to adult bucks is their willingness to abandon their home or breeding range or a doe in estrus for a lengthy period (two or more weeks). Abandonment generally follows tail-up alarm, the need to resort to bounding or difficulty in avoiding serious danger. Once off-range, adult bucks are unlikely to stumble into more serious danger. Most have a working knowledge of an area up to a township in size (36 square miles). 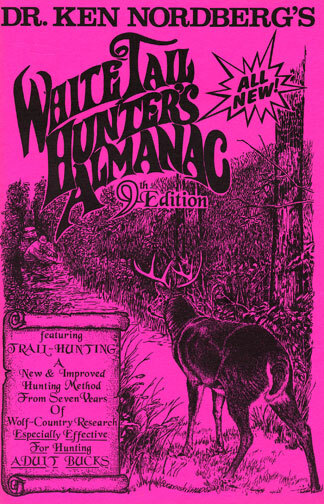 Their destination off-range is an area in which human hunters are rare or are unknown, an area where hunting is not allowed (no gunshots heard there, no hunting humans heard, seen, or smelled there) or an area humans avoid — a heavily wooded swamp or bog, for example, steep and treacherous terrain or atypical habitat such as a treeless area or tilled farmland. If a safe refuge is not available to an adult buck faced with serious danger, it will become nocturnal (will limit activities to nighttime hours only). 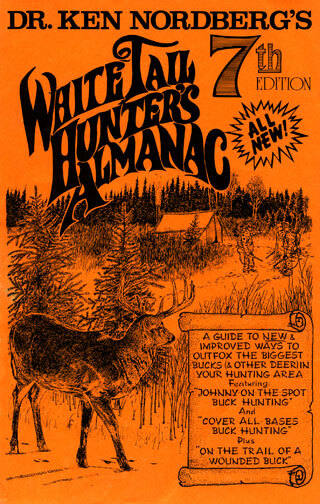 For whitetails, such a change is easy. Even when not threatened by serious danger, whitetails are half nocturnal. Morning feeding cycles, normally begin in darkness two hours before first light, and evening feeding cycles typically continue up to five hours after sunset. Having eyes that can see at least 100 times better in darkness than eyes of humans, all that whitetails need in order to move about the ranges at night, find food and water and avoid danger is a little moonlight, clouds, illuminated by moonlight, starlight and/or northern lights. Moreover, it doesn’t take a great deal of animal intelligence (cunning) for a buck to realize humans hunt by day and thus a good way to avoid them completely is to limit activities to nighttime hours only. Of all the reasons adult bucks are so difficult to hunt, the two greatest reasons are lengthy range abandonment and becoming completely nocturnal. Keep this in mind. The hunting methods I will introduce after teaching you what you need to know about adult bucks are designed to keep them from abandoning their ranges or becoming nocturnal.